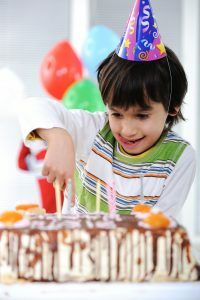 According to the article, planning early is beneficial since it can help make sure your child’s party goes well and keeps you from feeling stressed. About how early in advance do you suggest starting the plans? I’d be curious to know since my daughter’s birthday is coming up this summer and my wife wants to throw her a big party. Thank you for your comment. We recommend to begin the planning at least 1 month prior to the party. We hope to see you soon! I am trying to plan my ten year old daughters birthday party and I can’t figure out the theme or events. You make a really great point about planning any party early in case anything goes wrong. I never thought about sending RSVP’s with the invitations since I just assume everyone would come. This was really helpful for me in planning her birthday. Thanks for the great advice, now all I need to find a place for her and her friends to have fun. Thanks for your comment. Plan your party with us! You can book online 24/7 and get up to 50 FREE Tokens when you book online. Birthday parties are ultimate fun for kids and their parents. But it is important that you carefully plan for the event well ahead to avoid confusions. Just follow the advice shared in the post above and have a great birthday bash. I will recommended this post to my friends who are planning a bday party. My kid enjoyed her birthday party last week to the core. The tips offered in the above post helped me to plan out her birthday party without the support of my husband. I also had a nice time with my friends as I organized every element well ahead of the party. I like how you said that limiting the number guests in my kid’s birthday party is the right thing to do because he might be overwhelmed by the big crowd and end up not enjoying his party. I have a soon-to-be seven-year-old son, and I want to give him a spectacular pizza party. At first, I didn’t know what to do in order to give him the best birthday yet, now I have a few ideas. Thanks a lot! I’ll remember this. I like how you say that you would want to consider the number of guests at your kid’s birthday. It would be good to consider this because it would help control the chaos. My brother is planning a party for his son, so he’ll have to consider the number of guests.